« Howdy Pardner! It’s Stick ‘Em Up Friday for October 26th ~ List All Your Giveaways Here! One of the things I love most about giving presents to my daughter is watching her little face light up with excitement and amazement at what she receives. 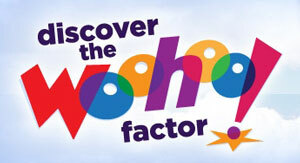 The "Woohoo Factor" is a powerful thing, for it gives back just as much excitement to me when I see my daughter with it. With the holidays around the corner, us parents are beginning to search for those precious toys that are guaranteed to give our kiddos the "woohoos"! That's why ASTRA, the American Specialty Toy Retailing Association, is kicking off their 3rd annual Neighborhood Toy Store Day on November 10th, 2012. Keep reading to learn more! Neighborhood Toy Store Day introduces families to the fun of shopping locally and celebrates each toy store's commitment to the community. It also helps forge long-lasting childhood memories of glee and laughter while visiting the toy store together as a family. Participating stores will host local in-store events for families (such as activities, craft projects, live performances, etc.) to help kick off the holiday shopping season and celebrate the joy of toys! Not only will you discover the toys that will be delivering some major "woohoo factor" this year, you'll also be supporting your local community in a way that chain toy stores aren't quite capable of. For instance, did you know that for every $100 spent in local, independently-owned stores, $68 returns to the community in the form of taxes, salaries, charitable contributions and more - in contrast with only $43 when shopping at a national chain? In addition, independent toy stores tend to carry many of the high-quality, boutique and specialty products not typically found at big box toy stores. Yourneighborhoodtoystore.org is a terrific online resource for parents interested in learning more about finding the latest and greatest toys as well as finding a local Neighborhood Toy Store Day event nearby. It features expert advice on toys and play for children of all ages, a local toy store locator, toy buying guides and much more valuable information that is especially helpful as the holidays grow closer. Now I'm sure you realize that I'm a HUGE fan of all things from Educational Insights and this puppet 3-pack is no exception. This toy was actually selected as one of ASTRA's Best Toys for Kids 2012. It has a unique ability to promote open-ended and creative play and also exhibits exceptional safety standards. Each puppet has an oversized head with silly googly eyes, a movable mouth and a handle. 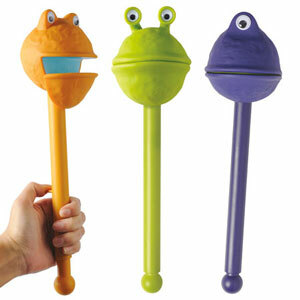 These puppets are perfect for pretend play, story time, puppet shows and even YouTube theater! As a former Science teacher, this particular toy hit near and dear to my heart. I am definitely guilty of trying to instill a life-long love of Science into my daughter and this wonderful collection of tools is perfect for your budding Einstein. 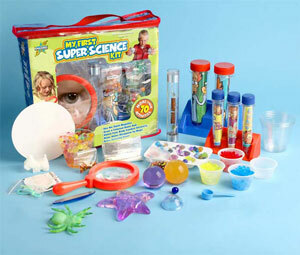 Junior scientists can explore, experiment and discover with this kit, which includes enough materials to conduct over 70 exciting Science experiments. It's designed for children ages 4 years old and up and begins teaching children that Science is truly everywhere. No wonder it was also awarded the Best Toys for Kids Award from ASTRA! Sometimes very small children can be quite hard to buy for, since their mobility and coordination haven't exactly developed well yet. If you're searching for the perfect gift for a child as young as 2 years old, then be sure to check out the final award winner, the BRIO Classic Figure 8 Train Set. 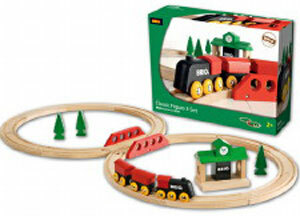 This classic wooden railway set includes 15 track pieces, a sleek engine, two railway cars plus accessories to build the perfect "figure 8" train track. This is one rugged, yet easy to manipulate toy just perfect for tiny hands. It's also so well crafted that this toy will still be looking great and working well long after your child has outgrown it. Be sure to support your local toy store and kick off the holiday shopping experience on November 10th at the Neighborhood Toy Store Day! Disclosure: I received the toys mentioned above from ASTRA, the American Specialty Toy Retailing Association, in order to facilitate my review. No other compensation was received. This product review is based on my own personal experiences with this item and is completely honest and objective.